The boss of one of the biggest names in the camera industry says his company cannot compete against the cameras in the iPhone and other smartphones. Canon CEO Fujio Mitarai says the camera market will shrink by almost 50 percent within the next two years. To survive, Mitarai says Canon, which produced pioneering autofocus gear popular with professional photographers, will shift its focus to corporate customers in fields like surveillance and medical care. Canon is a classic cautionary tale of a company too slow to adapt to disruptive technology like the iPhone. 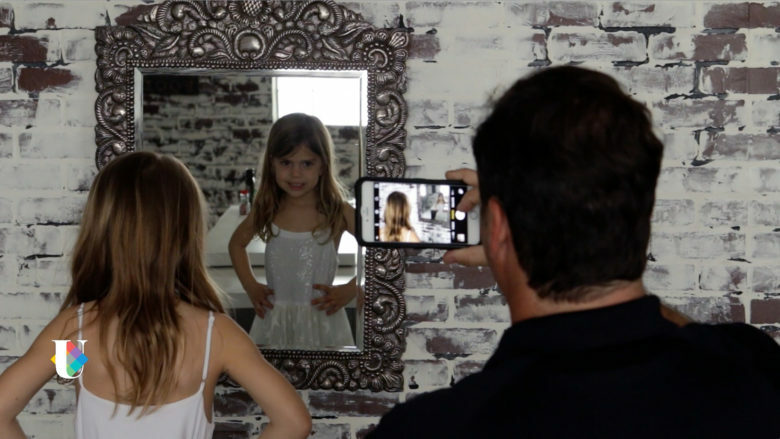 Each generation of iPhone rolled out with better and better cameras. The iPhone 4s was the first decent camera and since then, more and more people have left point-and-shoot and DSLR cameras at home. No matter the brand, iPhone, Samsung Galaxy or Google Pixel, the smartphone is the camera that is always with you. It’s baffling that Canon and other companies ignored the writing on the wall. 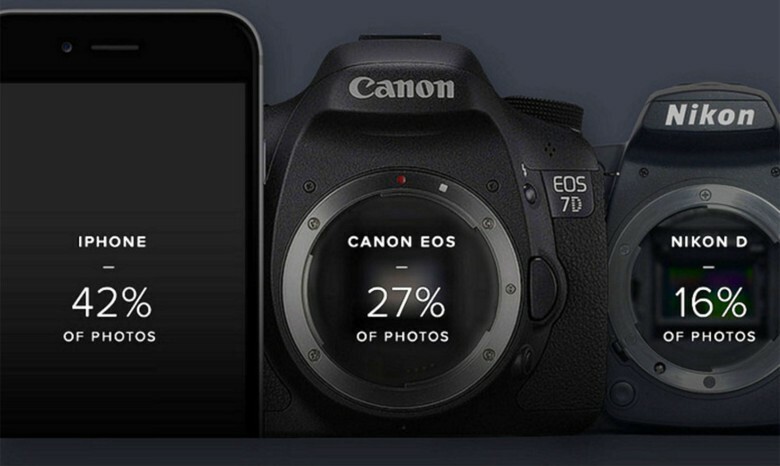 Since 2015, the most popular camera used among the millions of photographers on Flickr was the iPhone. It beat out Canon, Nikon, and Leica. It has been that way among Flickr users since. Smartphone makers, led by Apple, use the camera as a major selling point in advertising. 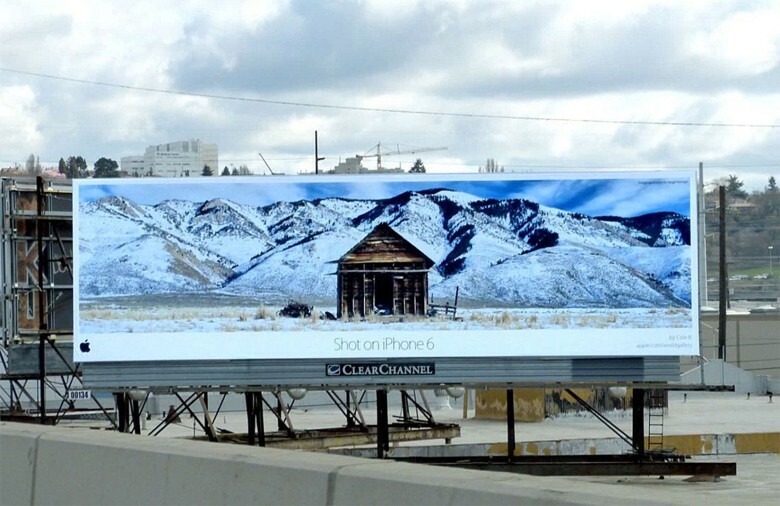 “Shot on iPhone 6” was a marketing campaign that turned user photos into giant billboards. Apple sells millions of iPhones every quarter. Even as smartphone sales slow, companies like Apple, Samsung, and Huawei sell more handsets every quarter than camera companies sell in one year. Big photos came from a little camera. Some of its best advertising turned out to be free as professionals and magazines, like TIME and Elle did iPhone photo shoots for covers. One well-known photographer, photojournalist Richard Kochi Hernandez, has forsaken his old gear. He walks around San Francisco with an iPhone and a Google Pixel producing beautiful fine-art street photographs. Canon produced a DSLR that produced cinematic-quality video, but even filmmakers, like Steven Soderbergh, have gravitated toward the iPhone for it’s size and ecosystem of post-production apps. Apple created a revolution on two fronts: it took the steep learning curve out of a highly technical craft and it made sharing and publishing instant, thanks to apps like Instagram. Canon couldn’t compete. It just decided over the last few months to get competitive in the mirrorless market, currently dominated by Sony and Fujifilm. But as Mitarai points out in the Nikkei interview, mirrorless cameras only take the place of the DSLR. They do nothing to grow the market. Photographer Marc Serota shows users how to improve iPhone photography on the Polaroid University app. Nikon is no better off. It also was late to the mirrorless game with a pro-level camera. Like Canon, Nikon has done nothing to develop hardware or software that comes close to what an iPhone can do. It’s baffling that the camera companies have done little to bring connectivity to photo sharing platforms. Yes, there is Wi-Fi but users first have to transfer photos to their mobile device. One camera that at least shows promise is the Zeiss ZX1, which has built-in Adobe Lightroom and allows users to upload images directly to the web. Another interesting concept comes from Yongnuo, which is working on a camera with an Android-based interface and a mount facing outward that would use existing camera lenses. There are still advantages for serious photographers to carry DSLR or mirrorless cameras. The small sensors on smartphones still don’t record quality images in low light, though smartphone makers are working furiously to make this a non-issue. Smartphones are only now offering small telephoto lenses, but companies like Huawei are building handsets that three or more lenses. With more time, many could see no need for a camera system for interchangeable lenses of different focal lengths.